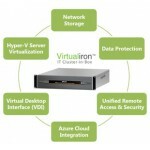 IRON Virtualiron Cluster-in-Box Unified infrastructure appliances are purpose-built, high performance hardware devices integrated with Microsoft Windows Server 2012 R2 software technologies and IRON designed Oneface system hardware management tools. It significantly reduces the cost of compute and storage by offering resilience and performance similar to expensive Tier-1 solutions by taking advantage of industry-standard hardware. 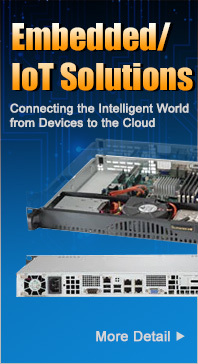 It offers capabilities such as high reliability, availability, scalability, and performance traditionally seen only in enterprise datacenter deployments due to their high value to customers of all sizes.